What I learned from those who choose peace. As the world continues to debate how to resolve conflicts in Syria, Egypt, and too many other places, negotiators have quietly, and mostly confidentially, continued peace talks between Israel and the Palestinians. The talks, which began mid-August, have taken place in Israel and the West Bank behind closed doors and with little public posturing. Cynics are quick to criticize these peace talks, which they believe will prove to be just another in a failed series. Others see them as a futile exercise that will only raise expectations and create more bitterness. And then there are those who have written off the entire Middle East as “a mess” and are simply disengaged from the issues. But I’m not one of those people. 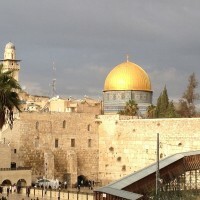 I continue to pray, hope and believe in peace for the Holy Land. I support the talks and believe that they can succeed. And I ask other Christians to join me. My hope does not come from naïve optimism, but from time spent in the region, researching and writing about the conflict and meeting with people. My hope does not come from naïve optimism, but from time spent in the region, researching and writing about the conflict and meeting with people who live with the effects of it daily. A skeptic at the beginning of my journey, I was first surprised and then greatly moved by the people I met there who are working—often sacrificially—for peace. My heart was changed as I watched Robi Damelin, an Israeli Jew, embrace Bassam Aramin, a Palestinian Muslim, as they each told of losing a child to the conflict. Members of the Parents Circle/Family Forum, they join dozens of other Israelis and Palestinians who meet together and speak out about their own losses, determined to find a way to keep others from experiencing the same pain they have endured. Their friendships don’t come easily. But perhaps more than any other people in the region, they understand the cost of conflict. My mind was changed as a Muslim man in Nazareth directed me to what he called the “Christian hospital” assuring me, “They are good people. They help everyone not just Christians.” I walked the halls of Nazareth hospital and heard patients and their families thank God and Allah for this historically Christian hospital. I learned that people come from miles around not just for physical healing but also for psychiatric therapy that is rarely available to the Arab population of Israel, as well as help with parenting and family problems. A volunteer program called SERVE Nazareth brings Christians from around the world to help comfort patients and pray for them as they receive dialysis or chemotherapy. In Haifa, the House of Grace ministers in the name of Jesus to the most needy citizens, including ex-prisoners, whether they are Muslim, Jewish or Christian. The entire town takes pride in the work done by this 30-year-old ministry and the fact that everyone is treated like family, whatever their background. In the town of Bethlehem I listened to Sami Awad talk about how his ministry, Holy Land Trust, teaches Palestinians that every encounter with an Israeli soldier is an opportunity to show love. I heard stories of Israeli soldiers who had entered the West Bank afraid and full of hatred for Palestinians but now had true friendships with those they once considered the enemy. I saw how Bethlehem Bible College equips pastors and lay leaders to minister creatively, regardless of the circumstances. I was amazed to learn that despite their own hardships, mission teams are going out from the college to help Syrian refugees. I was moved to tears as I heard Daoud Nassar, a Palestinian Christian, explain how he and his family live out the sentiment painted on a rock at the entrance to their family farm in the West Bank, nearly surrounded by an Israeli settlement. “We Refuse to Be Enemies” is more than a slogan at his Tent of Nations ministry. Even some of the Israeli settlers who once tried to evict the family are beginning to believe it. 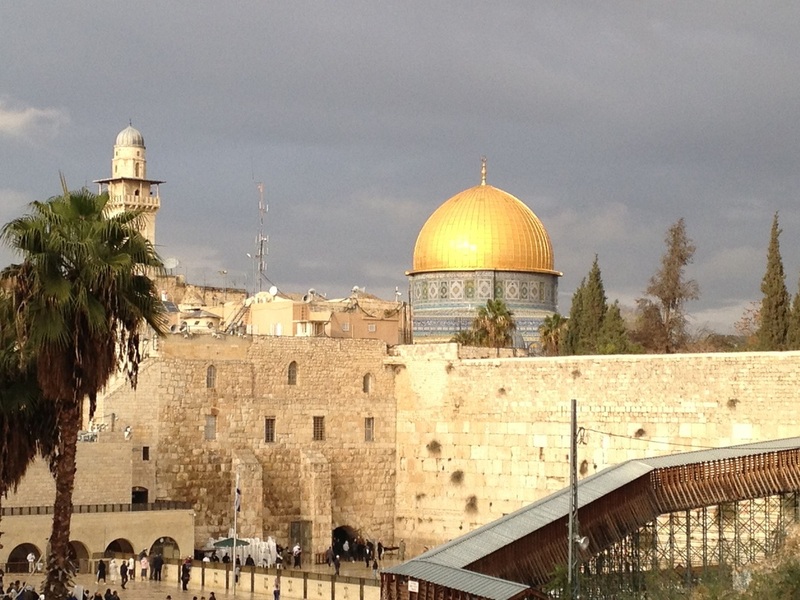 My mind was stretched as I listen to Jewish believers in Yeshua (what some call Messianic Jews) struggle to find reconciliation with Palestinian Christians, with whom they often disagree politically. “We need to believe that our shared faith is greater than our differences,” said Salim Munayer who runs Musalaha, a respected ministry of reconciliation between Israelis and Palestinians. These people and many more challenged my skepticism and made me examine my own beliefs. Jesus preached peace and reconciliation, and many of these Israelis and Palestinians practice his principles in the face of great obstacles. Their lives are not easy, and yet they have hope. Who am I to have less faith than they do? As I thought about other places in the world that have seemed irreparably broken, like South Africa and Northern Ireland, I was reminded that we believe in a God of reconciliation; a Lord of healing. As I thought about other places in the world that have seemed irreparably broken, like South Africa and Northern Ireland, I was reminded that we believe in a God of reconciliation; a Lord of healing. Perhaps there are reasons to be cynical about the peace process. But as Christians we have the advantage of trusting in a God who works in mysterious ways. Having seen the remarkable faith of many men and women in the Holy Land, I choose to support them through prayer and hope. As the talks between Israelis and Palestinians continue, I think not of the politicians but the individuals who are faithfully working for peace day after day. For their sake, and for everyone living in the Holy Land, I pray for a miracle. Dale Hanson Bourke is the author of The Israeli-Palestinian Conflict (InterVarsity Press). She can be followed at or on twitter @DaleHBourke.